What if Superman and Batman were Bruneians? That was the question that I’ve asked myself when I was a kid and I’ve pondered with the possible answers ever since. 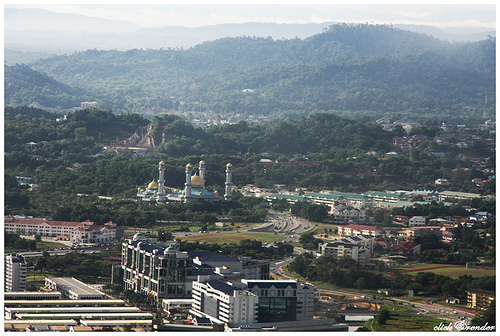 I’ve always wanted to see an epic blockbuster type action movie set in Brunei. And there’s nothing more epic than a timeless superhero story. The aim is to take elements of the classic superhero mythos – whether it be the Superman or Batman mythos – and try to fit it in a Bruneian setting. To me, a story about a Bruneian superhero should have elements from major superheroes such as Spiderman, Batman, Superman while tackling social themes relevant to Brunei. There is no point in telling a story without touching on subjects that we can relate to. It is also important to ground it on local legends. We have our own legendary heroes: the super strength Herculean Awang Semaun – brother of the first Bruneian Sultan and Awang Jerambak – a man with lots of extraordinary weapons. I have taken some liberties on their myths/legends to fit in with the themes of the story. The story is set in a heightened reality/fictional/alternate version of Brunei – a small state at the northern part of the Borneo Island . Certain elements with real life basis are exaggerated or modified to serve the type of story being presented. Volume I – Origin. This will be straightforward: the Whys and Hows of the person becoming a superhero/hero. Volume II – Crossover. Nothing is more exciting than one superhero crossing paths with another superhero – whether in comics, cartoons or movies. Also, the public’s reactions and how the superheroes react to those reactions will hopefully be explored. Volume III – Crisis. Final battle against the supervillain. Although I originally envisioned this as a live action movie or a comic, I thought it would be better if I can initially just write it and let it out of head. Maybe someone who’s more capable and talented would adapt/remake this in another medium. I accept any feedback or suggestions. Macam siuk usul cerita kita. 2 Thumbs up!! Thank you. Please share to others if u like it. Sudah bekaraja ani, payah ku kan update2. New chapter is half way done…just need to concentrate on my job this month and then time puasa, hopefully i can publish the new chapter.